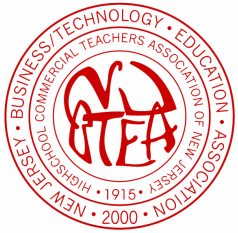 Any person certified to teach or supervise Business/Technology Education (including marketing education) and/or actively employed in the teaching, supervision, or management of business-related technologies and/or educational institutions may become a voting ACTIVE member of this Association by payment of the annual dues. An ACTIVE member shall be defined as one who is eligible to participate in the workshops/tours/seminars, general business meetings, and conferences sponsored by this organization by virtue of the above criteria. Any other individual interested in Business/Technology Education and associated with business in general may be a nonvoting ASSOCIATE member of this Association by payment of the annual dues and approval by the Executive Board. An ASSOCIATE member shall be defined as one who is eligible to participate in the workshops/tours/seminars, general business meetings (with the right to speak but not to make motions or vote), and conferences sponsored by this organization but who does not hold the credentials of an ACTIVE member. Any ACTIVE or ASSOCIATE member who retires may become an ACTIVE RETIRED or ASSOCIATE RETIRED member of this Association by payment of the reduced dues for retired members as determined by the Executive Board. ACTIVE RETIRED and ASSOCIATE RETIRED members shall be bound by the criteria (albeit in retired status) and share the same privileges as an ACTIVE or ASSOCIATE member. Any individual enrolled in an undergraduate Business/Technology Education (including marketing education) program at an accredited college may become a nonvoting STUDENT member of this Association by payment of the annual student dues and proof of student status at an accredited institution. A STUDENT member shall be defined as one who is eligible to participate in the workshops/tours/seminars, general business meetings (without the right to speak, make motions or vote), and conferences sponsored by this organization but who does not hold the credentials of an ACTIVE or ASSOCIATE member.